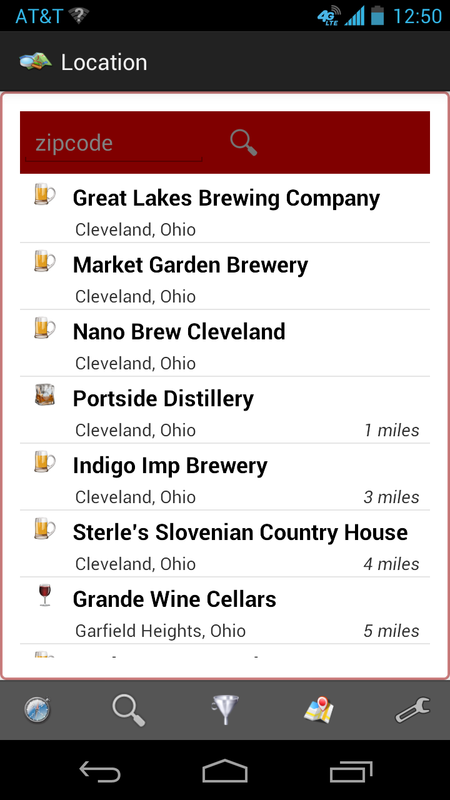 This past weekend we traveled to Cleveland to watch the Nationals play the Indians and to experience the Cleveland beer scene via theCompass app. And let me tell you, the beers in Cleveland rock. Each bar we visited had at lease one local brewery on tap and many had more. Then we traveled to the Ohio City neighborhood to experience the epicenter of Cleveland's craft beer world. 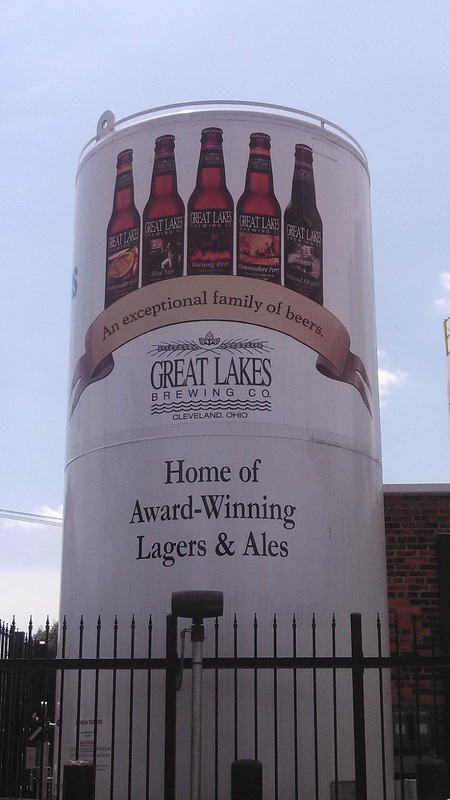 Why, because within two blocks, three breweries are operating including the mighty Great Lakes Brewing Company. We started our visit to Ohio City quite smaller, at the Nano Brew Cleveland, which serves a long list of beer some made in house, some made at their sister brewery, Market Garden Brewery, and others from across the U.S. Since we walked to the area, I cooled down with a light Kolsch - refreshing with just a hint of hops. I then moved deeper with the Market Garden Citramax - and IPA loaded with organic Citra hops. This was another clean and refreshing beer - even with the higher IPU - easy to drink. The crew at Nano Brew also enjoy biking and even provide a tune-up station inside the pub. We need one of these in NOVA. We overstayed our visit and had to rush a couple blocks to meet our Great Lakes tour - a tour I've been anticipating ever since the brewery expanded into the DC market. Their Edmund Fitzgerald Porter is a fixture in our refrigerator. Plus, the brewery is celebrating their 25th anniversary - opening September 6, 1988 by brothers Patrick and Daniel Conway. The main fact that we took away from the tour is expect the beer to be fresh. They don't pasteurize their beer, nor leave much in the warehouse - so once the beer is bottled or kegged - it moves quickly into distribution channels. And if you want to enjoy the freshest beer, hit the brewpub where they offer rotating pub exclusive brews like the Wit's End, Milk Stout, or the Glockenspiel. The brewery is a logistical achievement considering that trucks filled with grain arrive every two days to fill the silos as they brew 125,000 barrels annually. That's impressive. We look forward to toasting the brewery on their birthday in September. Despite getting closer to game time, we had to continue on to Market Garden Brewery and Distillery and found the first disappointment. Even though distillery is part of their name, and in planning, they have not yet received the proper legal permission to commence distilling. However, in addition to their many beers, they also offer several micro-spirits from Ohioan producers - such as Apple Jack from Tomsfoolery and bourbon from Woodstone Creek. 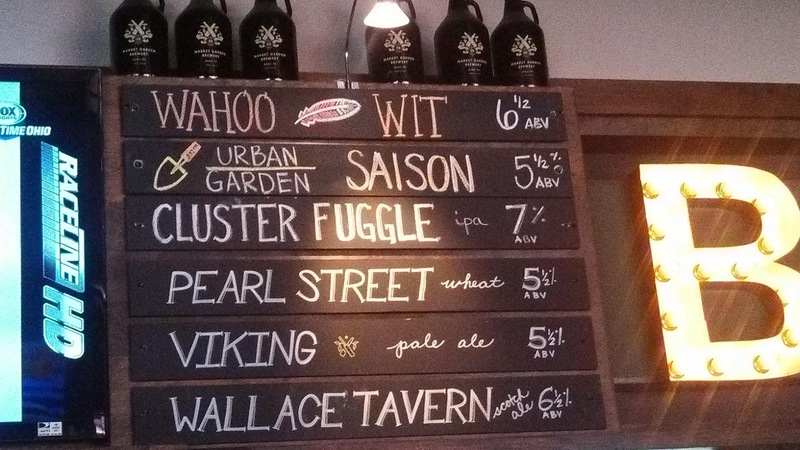 But this visit was all about the Urban Garden Saison - where they really nailed this farmhouse ale - and Wallace Tavern Scotch Ale. The latter is malty - but not sweet - and another nailed style. And as a bonus suggestion - pair this with the Scottish Egg. Our Cleveland brew experience did not end in Ohio City. Progressive Stadium carries the complete Great Lakes year long collection, with one stand dispensing from the bottom up. Just don't be careless and accidentally release the magnet. Cheers to Cleveland.